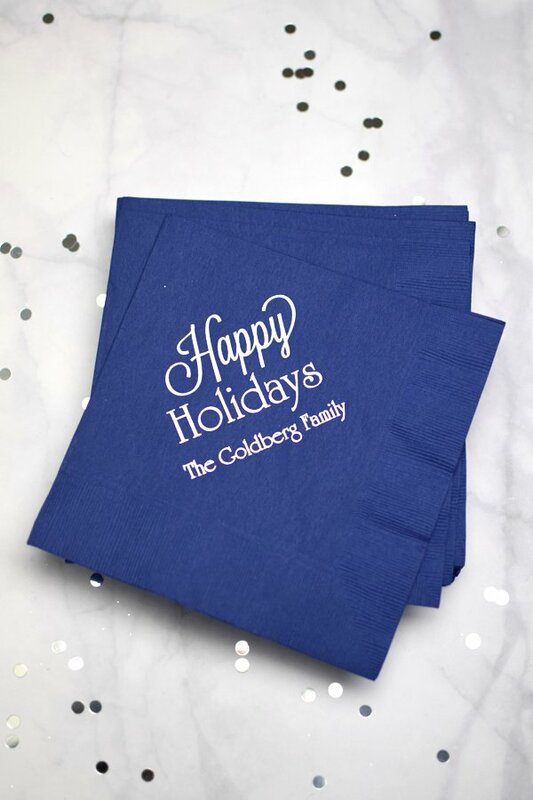 The ideal size for appetizers and desserts, 3-ply paper holiday party luncheon napkins are custom printed with a festive design and your own message. Luncheon napkins are slightly larger than beverage napkins, measuring 6 1/2 inches square and are made from thick, 3-ply disposable paper. Choose from nearly 30 napkins colors to match your party theme.